How to add BACKORDER item to the shopping cart? Some items can not be placed in the shopping cart when out of stock. If you don’t like to hear the expression: “Sorry No Rainchecks” these instructions will help you to use SALE price and place an order anyway. Now you can pay for your order and wait for the item from backorder to be delivered to your door. 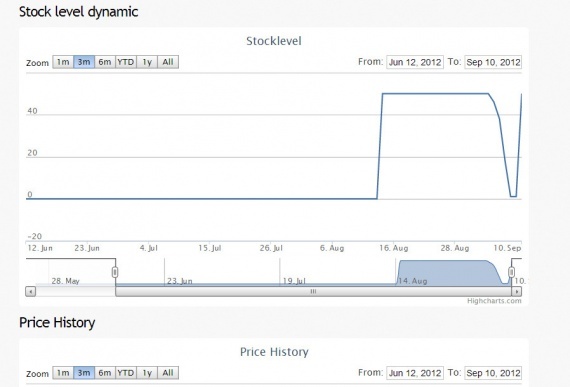 HobbyKing had detailed information about stock status available for a long time. For example how many items are available or how many are sold if there are zero in stock. It could give you an idea how big the line up was. Unfortunately two persons (first & second) decided to show off their knowledge on Twitter and disclosed this information to the public. 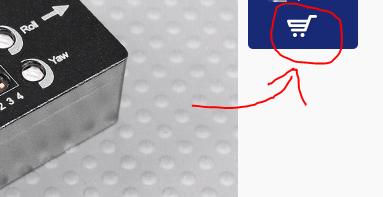 As a result HobbyKing is hiding this information and the numbers that are available aren't precise enough. For example: less than 50 in stock or up to minus 20. We are currently working on the solution. When you buy something from the backorder I bet you want to know how often it gets to the warehouse. Now RCSearch can show you the chart of the stock status for each item. This option will help you to make a decision are you ready to wait for this product to arrive or not, especially if this item show up once a year. To access this information you can click on the icon beside the quantity this will open a separate web page where you can zoom and select different time frames. Do you thing this information is something you will be using on a regular basis? If you have ideas about improvement of this option please leave your feedback.